Nick Michael and Gerard Roman, who prepped for Holy Cross and Brother Martin respectively, reached the NCAA Division III Championships finals matches Saturday, but both fell just short of national titles. 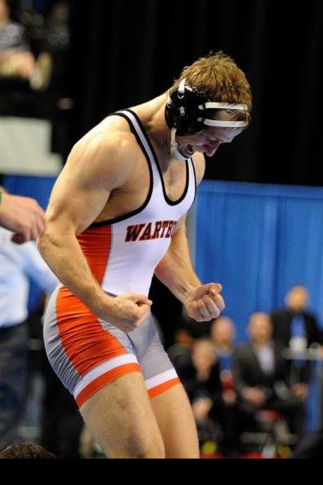 Wartburg had already sealed its 12th Division III team title, but did not fare very well in the finals as only Kenny Martin at 157 pounds won out of the five Knights finalists. In the 165 lbs. finals second-seeded Nick Michael, who won four state titles for Holy Cross High School from 2009 through 2012, faced fifth-seeded Logan Hermsen of Wisconsin-Stevens Point. Michael defeated Hermsen 5-2 in the Concordia University Wisconsin Open on November 21st, 2015. History looked like it might repeat itself as Michael scored first via a high-crotch to a single-leg that he shot with 16 seconds remaining in the first period, and converted to two points with eight seconds remaining. Down 2-0 to start the second period, Hermsen chose the bottom position and managed an escape after 30 seconds had elapsed. No other points were scored during the second period, and Michael looked to be in control leading 2-1 and starting the third period on the bottom. It only took Michael five seconds to score an escape point in the third period and take a 3-1 lead. With 58 seconds remaining the match was stopped due to some blood from Hermsen's forehead. At the restart, Hermsen shot on the whistle and grabbed Michael's left ankle. A furious scramble resulted, but Hermsen was able to stay "head-high" for most of it and was awarded two takedown points with three seconds remaining in regulation. Hermsen rode Michael for those three seconds to force overtime. In the Sudden Victory period Hermsen, after a short delay, again dove for and got Michael's ankle, this time his right one, and another scramble resulted. As happened at the end of the third period, Hermsen kept his head higher than Michael's for most of it and came out through Michael's legs behind Michael, scoring the winning takedown with 26 seconds remaining. At 197 pounds top-seeded David Welch faced second seed Gerard Roman, who won a state championship for Brother Martin High School in 2011. 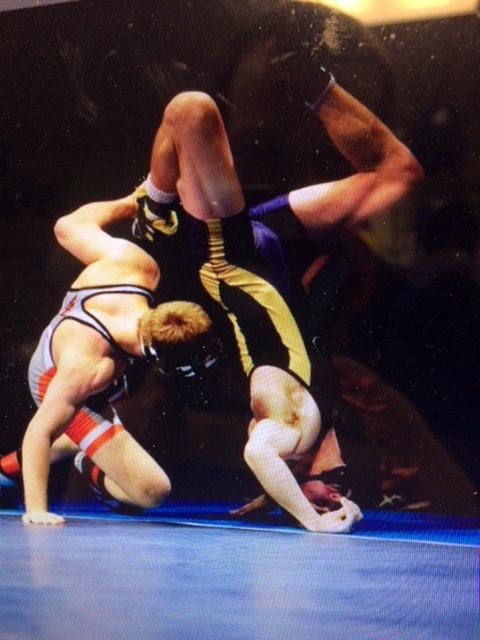 Welch had an 8-6 win over Roman in a January 8th dual meet and looked to control this match early. 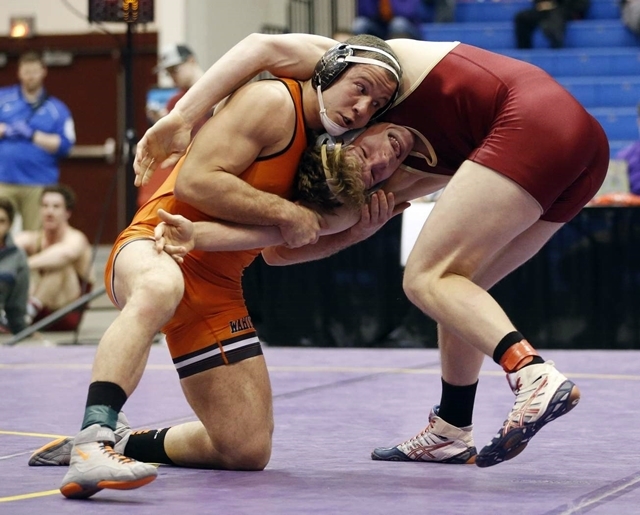 After a single-leg shot he successfully "limp-armed" out of Roman's grasp to get behind the Wartburg wrestler for the first takedown of the match with one minute remaining. Roman managed an escape 30 seconds later and the round ended with Welch ahead 2-1. Roman started the second period on the bottom and escaped with 1:21 remaining to tie the match 2-2. With 16 seconds remaining Roman shot on Welch's legs and, while precariously close to going out of bounds, managed a takedown with eight seconds remaining. Welch stopped the clock by going out of bounds right after the takedown. Owning a two-point lead with only seven seconds remaining in the second period, Roman's chances looked very good. He had momentum in his favor and the third round would probably only start off with a one-point escape for Welch, leaving Roman with a one-point lead. Welch, however, had other plans, and with the seven seconds remaining used a Granby roll to not just get away from Roman, but to reverse him and tie the match 4-4. Welch did score his escape after five seconds went by in the third round, taking a 5-4 lead. In the remaining 1:55, albeit a few chances were had, neither wrestler could manage any additional points, and it was Welch who was victorious as the last whistle blew. VIDEO NOTES: On REAL computers and possibly Android devices, Chrome and Edge should download the files which may start playing on their own or may prompt the user to start them. In Internet Explorer they should start automatically in a new window. On an I-PAD the WMV files will download somewhere, and then will prompt you to try to play them with O-Player or the like. The best advice for Apple users is to hock their devices and buy REAL COMPUTERS.